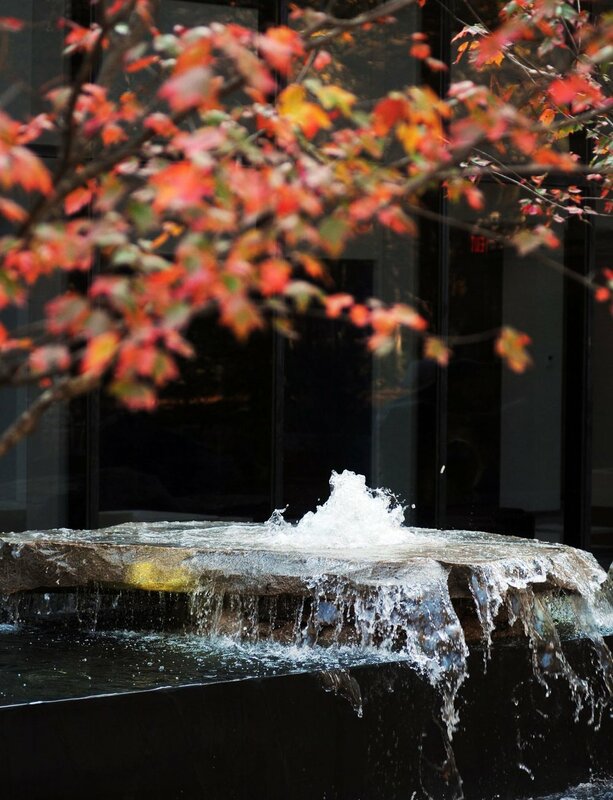 The gardens are designed to provide an extraordinary nature experience, awaken sensory response, and promote awareness of environmental phenomena / natural systems. 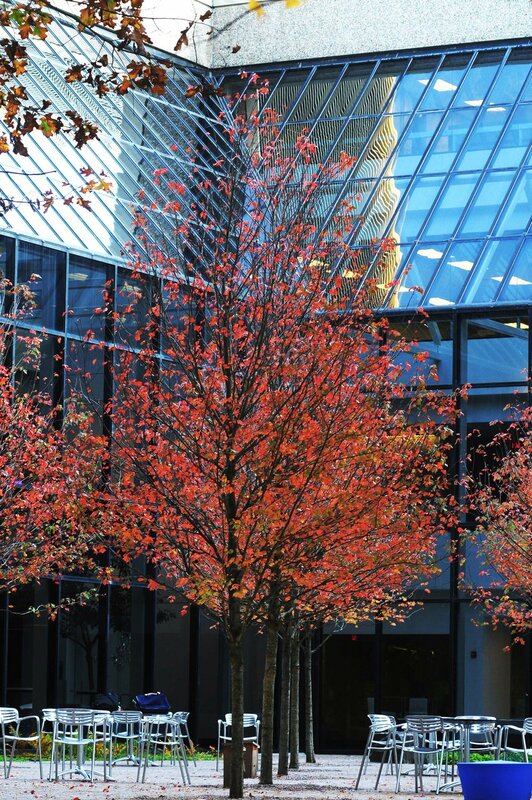 1000 + employees have the opportunity to experience constructed nature on a daily basis from both inside the building, in the garden, and beyond, through a series of connected trail systems. The garden is comprised of 2 tree-covered pervious terraces with black locust verandas stepping down to the woodland, and a large water basin / sculpture. 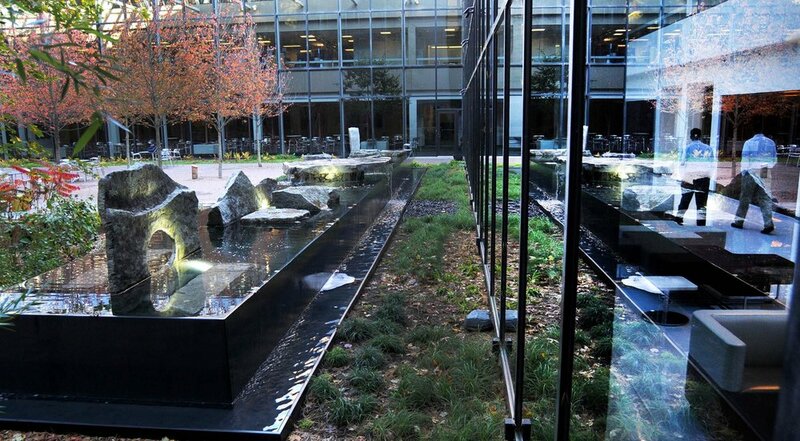 The water feature is the core of the garden and is visible from all 3 stories of the adjacent building which wraps the design element. 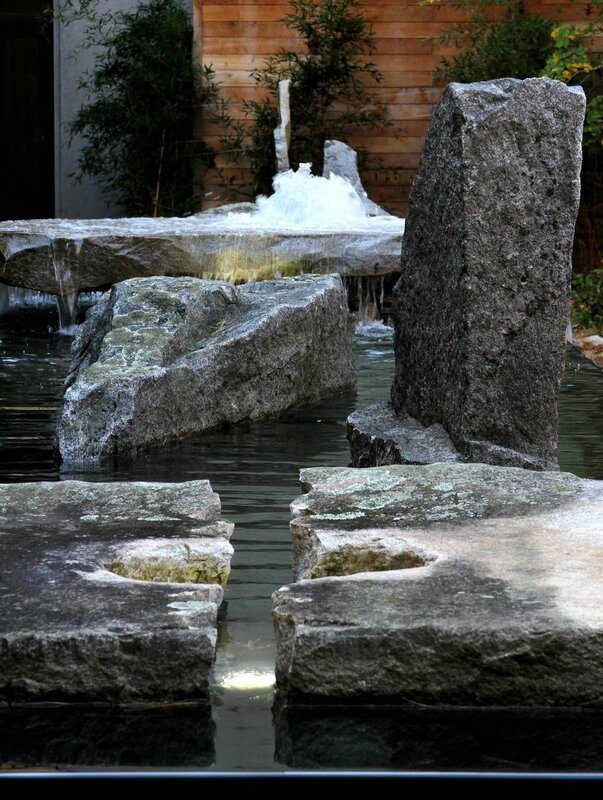 The Courtyard Gardens were designed by our firm, collaborating with artist/stone mason Lew French on the water feature sculpture.